For the Powerpoint slides click here. 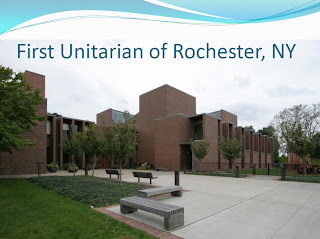 At General Assembly 2011 (Charlotte, NC), one of the workshops I attended featured Mary Jones and Kaaren Anderson describing what they do at the UU Church of Rochester, NY. Fortunately, the presentations were videotaped, and you can watch them too! I have embedded them below. Thus, the pathway to membership arises organically from the mission. serve needs greater than our own." Notice that the mision is NOT about what the church offers or what our church does. The mission is about what we are inviting people to become. Central question: Who are we asking you to become? SERVE needs greater than our own. 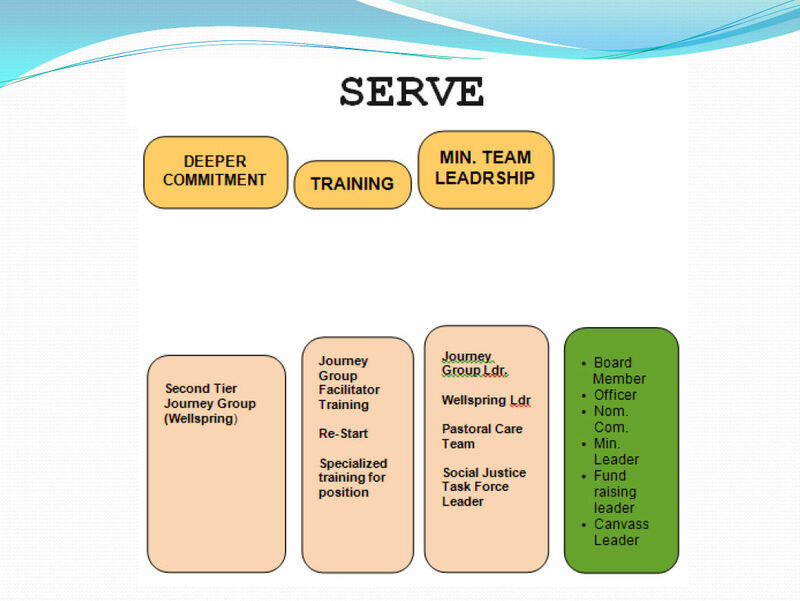 At Rochester, the staff spent some time operationalizing the mission into a sequential step-by-step process. At the end of that process, the member has become someone fully engaged in listening, opening, and serving. Get the first three months of membership very mapped out for new members. This prevents "wandering in the wilderness." The newcomers should always know the next step. Also involved: The minister and the volunteer lead of the Hospitality Team. 1. Welcome the visitor. The Membership Director is the "Master Connector" -- has high visibility, up in front of the congregation every Sunday. Newcomers always hear from just the one person. That consistency is very helpful for newcomers. 2. UU 101: Newcomer Orientation. A class of 45-mins, after service on many Sundays (at least twice a month -- preferably every Sunday). Led by Membership Director. Keys: short, frequent, and low commitment. (Can drop in, no advance registration). This class begins the introduction to the listen, open, serve mission; asks people where they came from and how they came to us; provides a tour of the church; and invites participants to the next step. Visitor follow-up: Invite them to a specific event. 3. Starting Point Class: an 8-hour class (sometimes offered in two 4-hour blocks on consecutive Saturdays; sometimes offered in four 2-hour classes on a weekday evening). Offered 3-4 times a year. This is led by the minister. It introduces people to listening, opening, and serving. Participation in the Starting Point Class represents an increased commitment. This is the boat to get people across the lake. 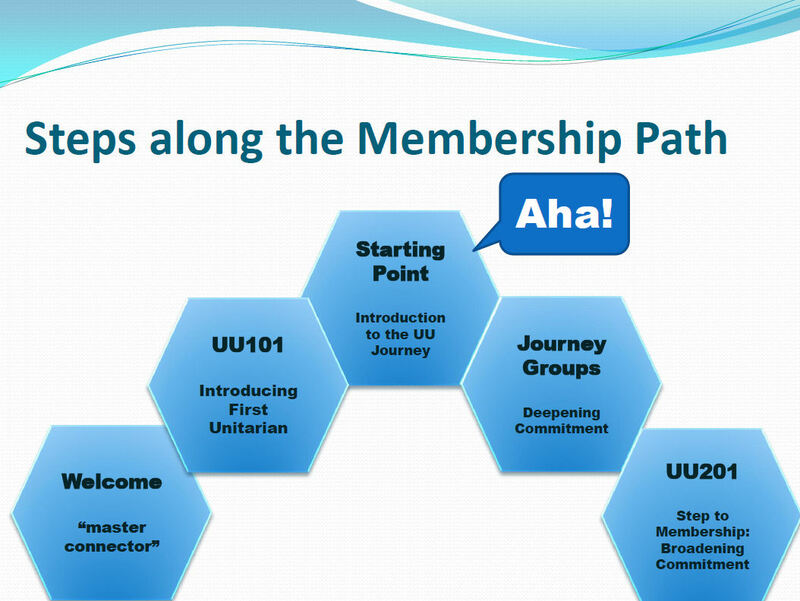 From Starting Point, they go either to Journey Groups or to membership class (UU 201) -- preferably both. In the last couple hours, we explain journey groups, and ask them to continue the journey by joining one of our journey groups. 4. Journey Groups. These can be interest groups -- writing group, a Buddhism study group, etc. However, also create a new journey group out of the people who were in each the Starting Point class. 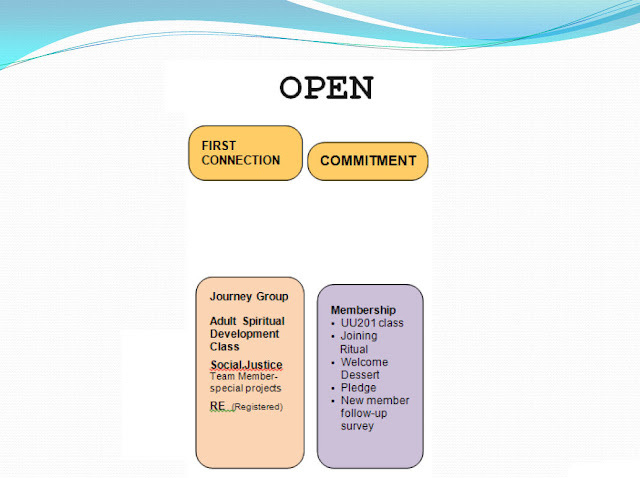 The step of joining a journey group is a step of DEEPENING commitment. Step 5 invites them to BROADEN commitment. 5. UU201: Membership. Led by minister. Covers expectations and benefits of membership -- and covers some governance and finance matters. Not a long class because the main work has already been done. Upon joining we get their gifts and talents info entered into database. Then we connect them with the leaders of the groups they're interested in. Measurement of visits is important. Ongoing touchpoints: Call every member at the 6-month anniversary and the 12-month anniversary of joining. Use a telephone survey to assess how they are integrating. - Hold a special service of recognition for the seasoned members. Map out the steps from beginning to end -- then you can look to see where you're losing people. Small groups are essential. 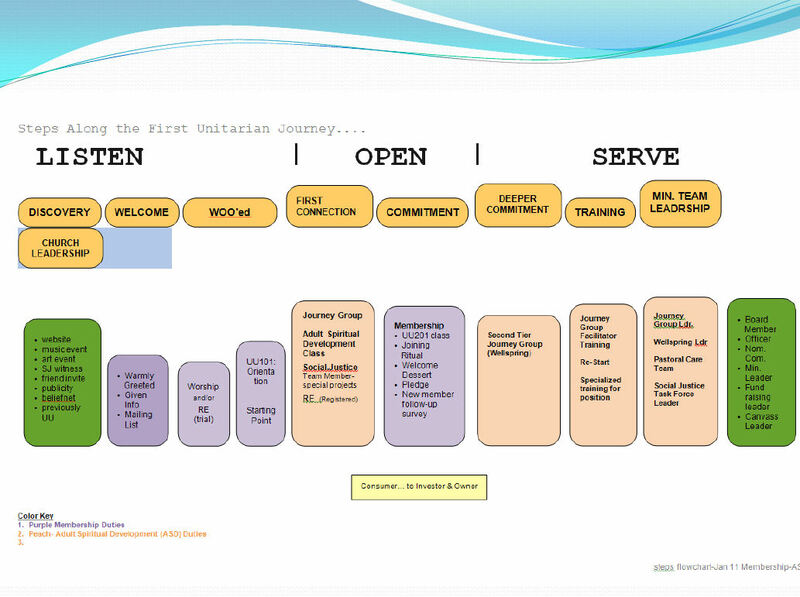 Journey groups usher our people toward the soul matters covenant groups. 1. "Creating Disciples": You want your members to be able to understand the mission -- articulate and help others come on board with it. That's "discipleship." 2. 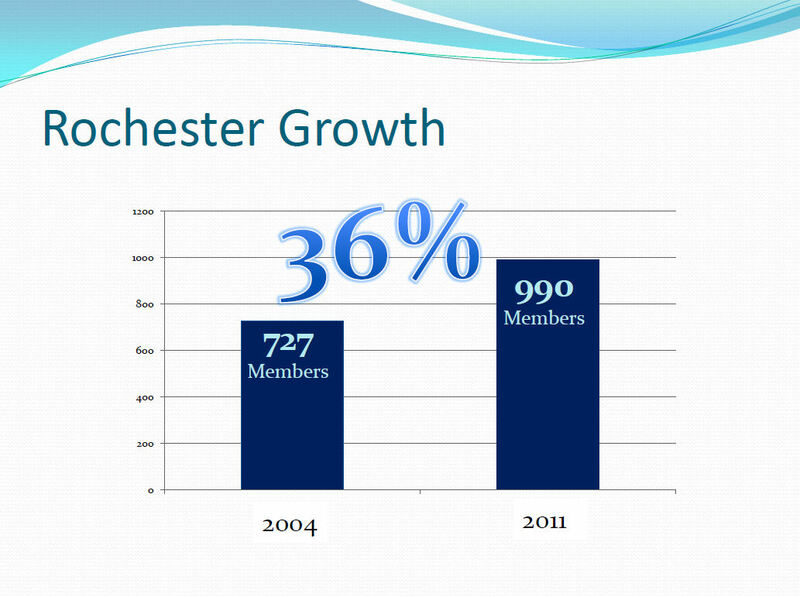 RE-START: seasoned members need to be brought into the same operating system. We ask the long-time members to take the Starting Point Class. 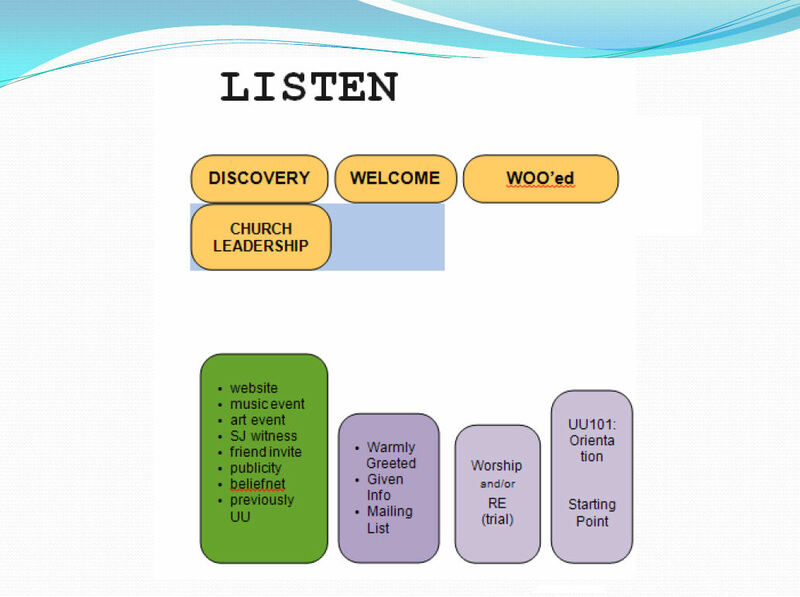 In house is leadership training is helpful (instead of having to send folks away to a UU Leadership school). Steps of leadership: A member can't be on the governing board, or other high-level leadership, until they've done some "early leadership," then progressed to "ministry leadership." 1. Early Leadership: project leader; RE teacher; group facilitator. 2. Ministry Leadership: Pastoral Care Team; Task Force leader; major project leader. 3. 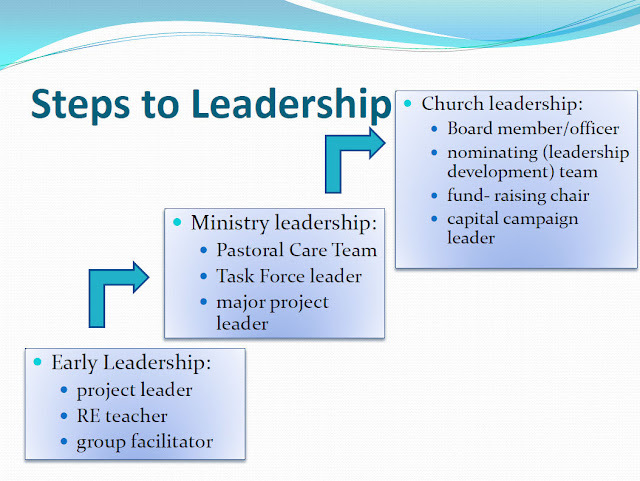 Church Leadership: Board member or officer; nominating (leadership development) team; fundraising chair; capital compaign leader.